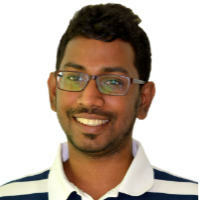 A friendly geek from the sunny island of Sri Lanka who loves all things tech. Frontend software developer by trade, I’m looking forward to the (rather bright) future of web platform. Interested in Web Components and Polymer. Here's how to use Shadow and shady DOM in Polymer to create fully encapsulated and independent components. A quick overview of declaring and using properties on Polymer Components, including one and two-way property binding. Introduction to Polymer, Polymer CLI and creating a simple Web Component.